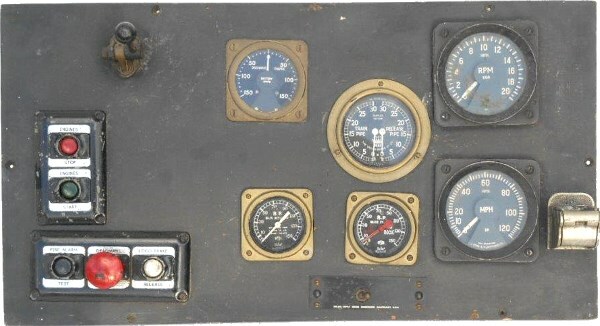 Lot 31 Hymek Class 35 Diesel Locomotive "DRIVERS CAB DESK PANEL". Comprising of 6 clocks - On - Off buttons - Air horn lever etc. rare survivor!!! !